To say that Apple's doing things differently would be an understatement. With the 4.7-inch iPhone 6 and the 5.5-inch iPhone 6 Plus, the company introduced two new high-end phones at the same time, both with a complete redesign and a much larger screen size than any iPhone that came before. Gone are the days of 3.5-inch and 4-inch phones that, at one time, seemed to provide more than ample amounts of screen space. 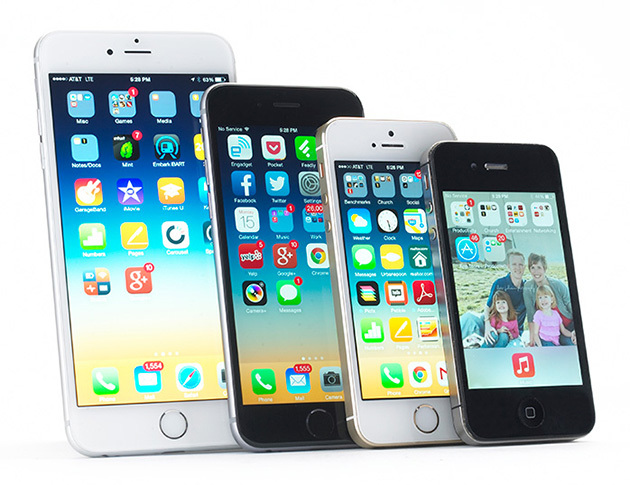 Now, the new iPhones make their predecessors look like the tiny handset Ben Stiller used in Zoolander. The market has changed, and it was high time Apple did the same. Even though this is Apple's first attempt at building large phones, it's not breaking new ground -- in fact, it feels more like the company is catching up than innovating. To be fair, finding a fresh take is a difficult thing to do in this crowded space: Samsung's Galaxy Note series, which started out at 5.3 inches and is now up to 5.7, is selling by the millions, and most competing flagships aren't much smaller. Basically, Apple would be leaving money on the table if it didn't address this segment of the market. So how did the company do on its first try at large phones? Pretty well -- mostly. How would you rate the iPhone 6? The iPhone 6 Plus is difficult to use one-handed, not to mention more uncomfortable than similar-sized phones. In exchange, though, you get more of an iPad-like user experience on a much smaller device. It also has better battery life than the smaller iPhone 6, as well as a better camera. Keep that in mind as you're deciding between the two devices. 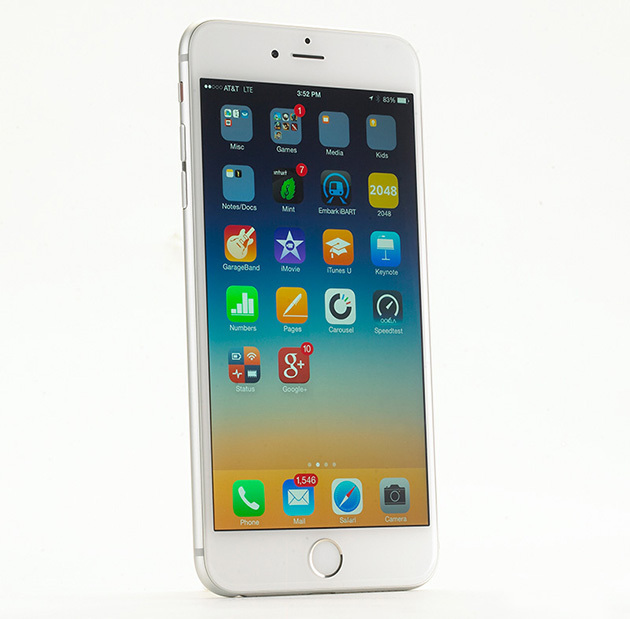 How would you rate the iPhone 6 Plus? 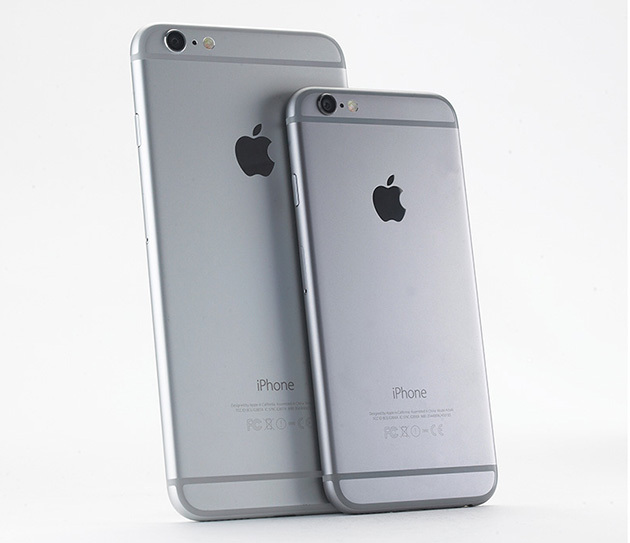 Aside from the screen size and a few minor hardware differences, the iPhone 6 and 6 Plus are identical. Unlike Apple's last four flagships (the 4 to the 5s), which sported a squarish, blocky shape, the 6 series features soft, rounded sides. Not counting the glass screen, the entire frame is constructed of aluminum, similar to the material Apple uses on its MacBooks. As you'll see in my iOS 8 review, Apple's following a design approach centered on "continuity" -- the idea that its products should work seamlessly with each other. This is evident in the iPhone 6's hardware as well. 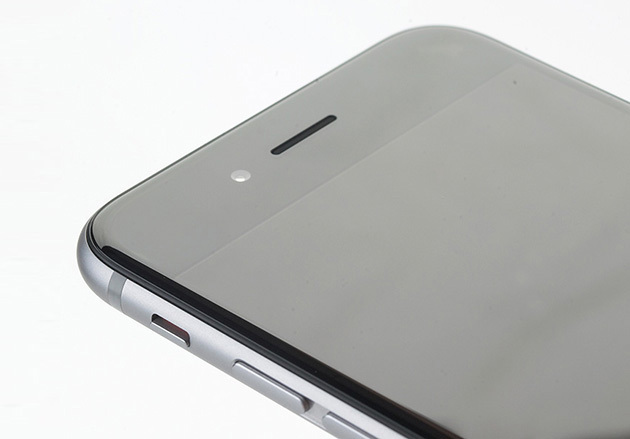 The 5 and 5s had straight sides that met the front and back via chamfered edges. On the 6, Apple opted for a unibody build; the bubbled-out sides and flat back are constructed from one continuous piece of material. Meanwhile, the front glass panel tapers down ever so slightly at the edge, producing an uninterrupted look. I'll always have a soft spot for the chamfered edges on the 5 and 5s, but the 6 and 6 Plus feel fresh, especially after years of only modest design tweaks. Both iPhones are thinner than their predecessor. 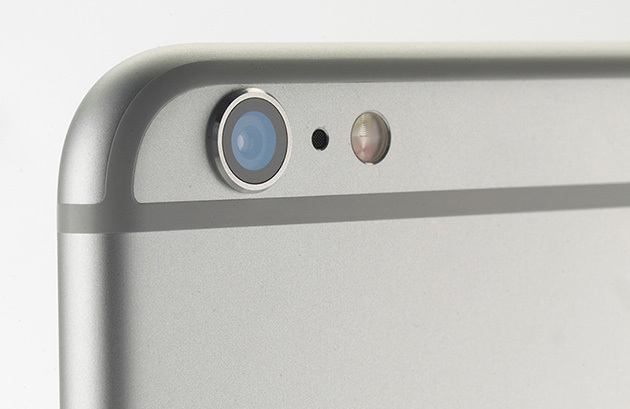 Whereas the 5s was 7.6mm thick, the 6 comes in at 6.9mm, with the 6 Plus measuring a hair thicker at 7.1mm. I don't always subscribe to the "thinner is better" mantra, but it's a benefit in this case because larger iPhones wouldn't feel as comfortable if they had the same shape as the 5s. If I had to choose based on in-hand feel alone, I'd pick the 6 over the Plus. I can still wrap my fingers around the 6 just as easily as I could with the 5s (and its curved sides don't cut as sharply as the edges on the 5s), but the large-screened 6 Plus is... well, it's manageable. There's no avoiding it: The Plus is even bigger than it looks. It's easier to acclimate to the Plus if you're already used to large phones, but even then, this is a massive piece of kit. Let's do a close comparison with the 5.7-inch Samsung Galaxy Note 3, for instance (I have a review unit handy, and the unreleased Note 4 has similar dimensions). The Plus is nearly 7mm taller, 1.4mm narrower and 1.2mm thinner than the Note. Both are huge, and their width can fatigue even the biggest of hands if you hold on long enough. When you have a big handset, your fingers need to secure a firm grip; the Note's straight, ridged sides and textured back make for a relatively easy grip. With the 6 Plus, though, those narrow, rounded edges feel sharper when the tips of your fingers are grasping on for dear life, and the aluminum is slipperier. I got used to the design, but it takes time. But a phone's screen size doesn't have to dictate how large the device itself is. Take the LG G3, a 5.5-inch phone with the exact opposite in-hand feel. Compared with the LG G3, the Plus is nearly 12mm taller, 3.2mm wider and 1.8mm thinner; LG's large-screened option has a smaller bezel and arched back that fit the natural contours of my hand extremely well. It feels much more comfortable to hold for long periods of time, and I never worry about it slipping out of my hands. Both the 6 and 6 Plus use an IPS Retina HD display, but the Plus is even more high-def than the 6. It has a screen resolution of 1,920 x 1,080, which means you'll get a pixel density of 401 pixels per inch. On the flipside, the 6 maxes out at 1,334 x 750, which translates into 326 ppi. (That's the same screen density as the 5s.) Both displays are sharp, but I do see some minor differences between the two when I look at them side by side. Specifically, the Plus' text and images are sharper, with no jagged lines whatsoever. That said, I don't think it's enough to steer you from one device to the other; they both look fantastic from a few inches away. Additionally, the color representation on both phones is less saturated than the Super AMOLED panel on the Note 3, and is extremely close to the colors on a Retina display MacBook Pro. With the Retina HD display, Apple is also introducing what it's calling "dual-domain pixels," which arrange the display's subpixels into a chevron-like pattern designed to compensate for the contrast that normally shows up when you look at the screen from oblique angles. It also helps produce deeper darks and sharper text; both new iPhones have brighter whites than the 5s, but the Plus has the warmest tint of the three. The viewing angles are indeed among the best I've seen, and it's great to see Apple incorporate this technology into its latest products. All that said, it's worth noting that while Apple makes this screen technology sound brand-new, it's actually been used before on phones like the HTC One M7 and the One X. Over the years, Apple's continued to fine-tune its reputation for building devices that combine solid build quality with a premium design. While these new iPhones generally continue that tradition, there are a couple quirks that are difficult to un-see. The first is the excessive use of antenna lines on the back. The two stripes stretching across the top and bottom sections enhance the look of the phone's rear -- much like the HTC One series -- but there are two unsightly lines that follow the upper and lower perimeter, and they stick out like a sore thumb. Secondly, though the phones got thinner, the camera module did not; the result is a lens that sticks out from the rest of the chassis, which increases the likelihood of the casing and lens getting scratched. One final concern: The phones are prone to scratches if you're not careful. After just a day of use, I started noticing a few small marks on the backs of both devices. The most extreme thing I did to the phones during this time was slide them around on an office table. Granted, a case will resolve all of these issues, but unfortunately, cases also add a fair amount of bulk, and I've always preferred showing off my phones in all their beauty. Apple's coming out with a mobile payment service in October called Apple Pay. I haven't been able to test it out yet, so I'll revisit that when it becomes available. Once it's up and running, it'll use a wireless standard known as Near-Field Communications (NFC) that comes built into the iPhone 6 and 6 Plus. In short, a transmitter on your device can communicate with a receiver located just a few millimeters away; this is incredibly useful for mobile payment transactions because the short distance makes it more secure than any other wireless connection, so you don't have to worry about a third party getting unauthorized access to your sensitive information. Since NFC is a standard, the iPhone is theoretically capable of doing a lot more than just mobile payments -- tap-to-pair for Bluetooth devices, unlocking doors and hotel rooms, mobile tickets for public transit, Foursquare check-ins, et cetera. For now, though, the iPhone's NFC radio will be limited just to Apple Pay; developers can't do anything with it right now. Apple hasn't said if this will change in the future, but I suspect the company is approaching it with the same timidity as it did with Touch ID; Apple initially used it just to unlock the iPhone and approve iTunes purchases, and now, a year later, it's finally opening up the sensor for developer support. Both iPhones come preloaded with iOS 8. You can find my in-depth review of the update here, so I won't go into much detail in this review. But there are a few specific software features on the 6 and 6 Plus worth revisiting. Apple is treating the Plus as a small iPad mini (mini iPad mini?) of sorts: The springboard now can switch into landscape mode, and a few of the native apps (Mail, Calendar and Messages) come with dual-pane windows. This is a great use of the extra screen space, and it gives the Plus a clear productivity advantage over the 6. While I'm on the subject of landscape mode, the keyboard also looks rather different. The standard keyboard shows up directly in the middle and is flanked by heaps of symbols and other options. Arrows and many of the popular punctuation marks are on the right, while options like copy and paste, undo and voice dictation are on the left. Both iPhones also feature Display Zoom, which magnifies the screen and makes your icons, text and other materials larger. There's one-handed mode, which Apple refers to as "Reachability." This is technically available on both the iPhone 6 and 6 Plus, but it makes the most sense on the larger model. Since it's tough to stretch your tiny fingers all the way to the top of the screen, Apple's solution is to bring the screen down to you. When you double-tap on the Touch ID button, the entire UI slides down so the top half of the app is located on the bottom half of the screen. You can scroll and interact with it just like you normally could in full-screen mode, but in case you need to get to a link at the bottom of a website, or you're trying to get down to the end of an email, you'll have to go back out to see the entire screen. It's better than having no one-handed mode at all, but it still feels cumbersome and I only really used it when I wasn't able to use two hands (e.g., when I'm walking down the street while holding a bag). It may sound like the Plus isn't ideal, and indeed, it's not for everyone. But for many, the additional screen real estate is worth sacrificing some one-handed comfort. Not only do you get more rows of icons on each screen (the 5s is 6 x 4, while the 6 is 7 x 4 and the 6 Plus is 7 x 4 with slightly larger icons and more space in between), but you're also going to be able to see more emails, tweets, Google search results, Engadget posts, calendar appointments and, well... more of everything. More screen space equates to more room for consuming, creating and manipulating content, and since it's still small enough to fit in most jeans pockets (provided they're not too tight), it's still more portable than any iPad. While the megapixel war rages on among manufacturers like Sony, Samsung, LG and Microsoft Devices (Nokia), Apple doesn't seem to feel compelled to join the fray. Instead, it's sticking with a modest 8MP iSight camera similar to the one found n the 5s. Although the aperture and pixel size haven't changed, Apple's added "Focus Pixels," which is the company's fancy term for Phase Detection Autofocus (PDAF). The tech is used in many DSLRs and phones like the Galaxy S5, and the idea is to lock autofocus faster. Fortunately, Focus Pixels doesn't disappoint; in several side-by-side shots in which my goal was to snap a photo as quickly as possible, the 6 and 6 Plus did considerably better at producing focused images. In case you need extra perks for going with the larger device, the Plus comes with Optical Image Stabilization (OIS). This feature is designed to reduce the amount of blur that can come from the natural shaking of your hand, and it produces better low-light performance as a result. I took several nighttime shots with the 6 and 6 Plus side by side, and although there was no difference in how much light the cameras took in, the images from the Plus consistently came out sharper -- both when viewing at standard size and especially when zoomed in. I also pitted the Plus head to head against several other flagships. It bested the HTC One M8 in sharpness and white balance, though it didn't get quite as much light; it had more natural colors and less noise than the LG G3; it got more light, better colors and clearer focus than the Galaxy S5; and although the Lumia 1020 brought in the most light, it also did so at the expense of unnatural colors and noise. So the iPhone 6 Plus held its own against nearly every major flagship in terms of low-light images, but how did it (and its 4.7-inch twin) fare in the daylight? Shots taken by the Lumia 1020 were far more detailed and had a slightly more accurate white balance and color representation outside; but while it did a fantastic job capturing the shadows, the highlights were typically more blown out than they were on the iPhone. The GS5 is a respectable contender in the daylight as well, offering more detail, but the iPhone generally produced more accurate colors. The G3 appears to be overexposed by default and the dynamic range is not as wide, so shadows are incredibly dark and whites are slightly blown out. Finally, the iPhone bested the HTC One in dynamic range, detail and color. The iPhone camera may not always be the best in every circumstance, but it's consistently near the top in almost every scenario. The autofocus locks quickly; each shot contains all of the detail you'll need (unless you have to zoom in incredibly far); dynamic range is great; and color representation is sound. And although there weren't a lot of drastic improvements to the new iPhone cameras over the 5s, I know that if I need to snap a quick picture, it's going to turn out well. Last year, Apple rocked the boat by announcing that the iPhone 5s would be the first phone with 64-bit support, thanks to its A7 chip. This year's bump to an A8 chipset isn't quite as dramatic, but the company is claiming that the chip comes with a 25 percent uptick in CPU performance and 50 percent in GPU output. It packs 2 billion transistors, which is a number that few other companies boast in product launches; by comparison, Intel's Haswell desktop processor has around 1.4 billion. Apple seldom dives into more specifics, but benchmarks reveal that we're looking at a 1.4GHz dual-core processor. I get why Apple would rather discuss the experience than the actual numbers -- it's because a 1.4GHz dual-core chipset with 1GB RAM doesn't sound as good as a 2.5GHz quad-core Snapdragon or an octa-core MediaTek with 2 or 3GB RAM. But I've never had any problems getting iPhones to handle heavy loads, and the 6 and 6 Plus are no different. Games load and run smoothly and multitasking works great. When it comes to benchmarking, it can be difficult to compare Apples to Androids. 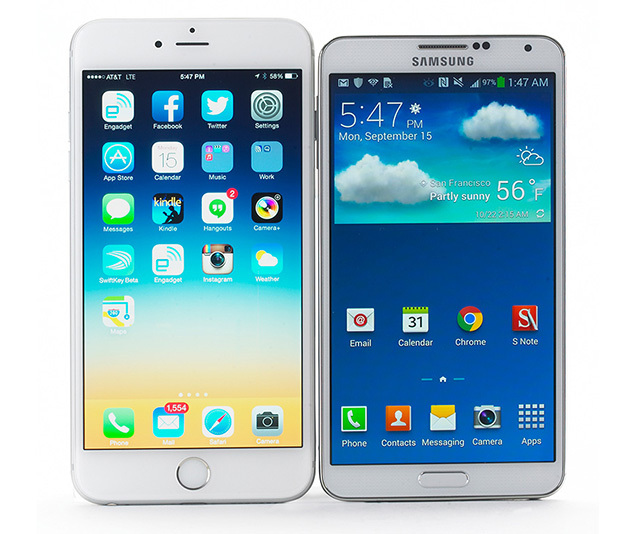 There are a few cross-platform tests, however, so I decided to take a look and see how the iPhone 6 holds up to a pair of Snapdragon 801-powered flagships, the Galaxy S5 and the HTC One M8. As you can see below, the iPhone does better in some areas and worse in others. On SunSpider, it produced the best scores I've seen on any smartphone. It does well on single-threaded activities in Geekbench and keeps up with the Snapdragon in multi-threaded tests. It does significantly better in Basemark X, but not in 3DMark. The long and short of it is that you shouldn't feel like switching from one flagship phone to another simply because it has more cores; Apple holds its own against the strongest competition, and it still has the advantage of having 64-bit support on both hardware and firmware for at least a short period of time -- at least, until Android L comes out and more chipsets integrate 64-bit support. The iPhone 6 series also comes with an upgraded motion coprocessor called the M8, which adds barometer support in addition to the accelerometer, gyroscope and compass. Since barometers can sense the variance in air pressure, this means you can now measure changes in elevation. Those measurements, in turn, will get added to the new iOS Health app. Another interesting side effect of the size difference is how they manage thermal heat dissipation. Since it's the smaller of the two, the iPhone 6 got noticeably toastier than the Plus when playing games -- in fact, I rarely had any problem with the Plus getting warm. If you're having trouble choosing between the 6 and its extra-large twin, battery life may be the ultimate deciding factor. It's no secret that the Plus comes with a larger battery and therefore longer runtime than the 6, but how much of a difference will it make? Turns out, a noticeable one. In our video-playback tests, the 6 lasted 10 hours and 19 minutes; that's actually worse than the 5s results from last year, which managed to go for 10:50. The iPhone 6 Plus, on the other hand, still had 14 percent battery left when the 6 died. All told, it lasted almost 12 hours. Both of these results are lower than Apple's claims, but likely are the outcomes of different testing methods. But tests are tests: Real-world performance is where it's at. And this is where the Plus truly shines. In my usage tests, I do a little bit of everything on the phone: calls, games, email, social networking, e-book reading, the works. After all that, I got through a full 17-hour workday with just 3 or 4 percent battery life remaining. On the 6, I managed to squeak out around 13 hours. With moderate to light usage, you should expect to see the Plus get roughly a day and a half, if not more. Both iPhones come in two versions with different sets of wireless frequencies, so you'll want to be aware of the differences. The first option comes with support for 16 LTE bands, while the second takes the same 16 and adds four more bands for a total of 20. This is the most I've ever seen included in one specific model. I usually list out which bands are covered on which devices, but let's face it: If the 20-band option doesn't include your specific needs, very few other phones likely will. The latter will ensure the most coverage globally, and will be sold in more places; in the US, however, you'll only find this version on Sprint and US Cellular. Every model will come with penta-band HSPA+ and quad-band GSM/EDGE, and there's also a CDMA variant that comes with those frequencies as well. The new iPhones also support WiFi calling with 802.11ac compatibility (in addition to the usual a/b/g/n), both of which have been a long time coming. WiFi calling, which offers high-quality phone calls over your wireless router, is a carrier-dependent feature. T-Mobile is the only network that currently supports it in the US, though AT&T plans to support it sometime next year. Meanwhile, 802.11ac compatibility ensures that your iPhone isn't a network bottleneck like it once was; its theoretical max speed is now 433 Mbps. Most customers don't get speeds this fast from their ISPs, but at least the speed limit is no longer low enough to have a negative impact on your internet experience. 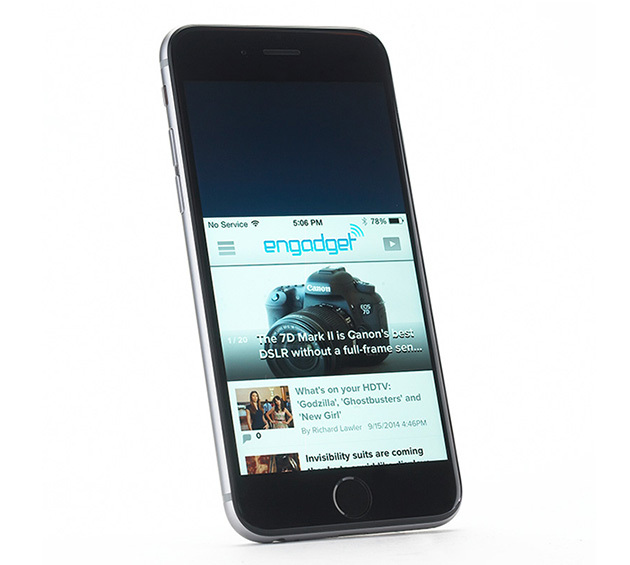 At 4.7 inches, the iPhone 6 is still technically smaller than most modern-day flagships. Samsung's Galaxy S5 is 5.1 inches; the HTC One M8 is 5.0; the new Moto X is 5.2; and the LG G3 is 5.5, just to name a few. So if you pine for a top-of-the-line phone that's larger than the iPhone 5s, but smaller than any of the aforementioned heroes, the iPhone 6 will be a great fit. If you're looking at the 5.5-inch iPhone 6 Plus, however, the competition is fiercer -- at least, if you care less about the OS and more about what you can do with the screen size. The Samsung Galaxy Note 4 is coming early next month, and since it'll have a 5.7-inch Quad HD display, it'll be a tad shorter, wider and thicker; however, it'll also have straight sides, which provide a firmer grip than the rounded edges on the 6 Plus. You can also get the LG G3, which has a higher-resolution 5.5-inch Quad HD display. Heck, if you're extremely adventurous, you could get a Lumia 1520, which is a 6-inch Windows Phone with even sharper edges than the Plus. Eventually, both iPhones will be available globally, but it's only coming to a handful of countries at launch. 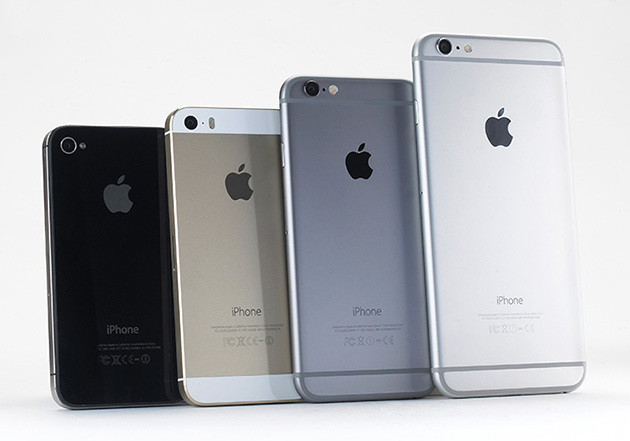 Each one will come in three color choices (space gray, silver and gold) and three storage sizes: 16GB, 64GB and 128GB. The latter storage option is the most I've seen built into a smartphone (internally, at least) though the mid-tier should be plenty for most users -- especially now that it's doubled in size. The iPhone 6 will start at $199 on-contract ($649 retail) for 16GB, and go up to $299 ($749) and $399 ($849) for the 64GB and 128GB models, respectively. The iPhone 6 Plus is $100 more than its smaller sibling, so prices start at $299 ($749) and go up to $499 ($949). For the first time, iPhone fans can enjoy something Android users have taken for granted: choice. Until this year, buying a high-end iPhone wasn't a tough decision. You either bought it or you didn't. Now there are two to choose from, and while they look identical, each has its own set of trade-offs that you need to weigh: The 4.7-inch iPhone 6 features a respectable display size and a comfortable in-hand fit; it's also my personal favorite after using both for several days. The 5.5-inch iPhone 6 Plus, on the flipside, isn't as easy to hold in one hand, but you'll want it if you're hoping to get an iPad-like phone with great battery life and a lot more screen real estate. This year's iPhones aren't groundbreaking, nor are they perfect. But they demonstrate something far more important to Apple's success in the long run: freshness. Apple ditched the tried-and-true square design (which I've always been fond of) for a more rounded, modern look; it added features that should've been there ages ago (NFC, anyone? ); and it made the phones large enough to start competing in a hotly contested space. No doubt about it, the iPhone needed to grow in size and function, and it did just that. Fortunately, it made the leap before it was too late.